I am happy to announce that the Learning Exchange Foundation received a donation from the Rabo Bank Share4More. For us to be able to continue our work with the youth in Bhutan we need donations like this! Thank you Rabo Bank Share4More! This is the advertisement for the first programme for 40 unemployed youth in Central and East Bhutan in the Keusel the national newspaper of Bhutan. Thanks to generous donations from well-wishers we can start with this urgent needed programme. We will film it and keep you updated. We need your support to keep our work going. So donations and grants are needed and very welcome! I have always dreamed of going abroad since my childhood and I am pretty sure that many people from different countries have the same feeling. I always found that learning about different cultures is always an interesting thing to do and interacting with new people also. That’s why when I got this opportunity ( because of the Learning Exchange Foundation) to come to Amsterdam I was super excited and to top my excitement I was going to work with a very well known architectural firm (RAU Associates), which was like a golden opportunity for me. I was really looking forward to the trip. A truly unforgettable travel experience – that’s what the short visit to the Dutch capital meant for me. My wait was finally over and I reached Amsterdam on 11th August 2012. I met Rieki and Robert for the first time at the airport and I was very happy to see them. It’s hard to describe how I felt in those first few hours. Obviously the excitement of being in a new place was one of the major factors, but also being away from home for the first time and to top it the long flight from Delhi to Amsterdam could also be the reason. Many people back home told me that things were different here, but what I found was a truly cosmopolitan city full of people and amazingly varied architecture. The next day I went to the city centre and it was quite an experience. It was a little crowded but that was maybe because it was a weekend but the city core was like a web with tree-lined canals, gabled buildings, curved bridges, cobblestoned streets equipped on every corner to accommodate the passage of strollers, bicycles and even self-propelled wheelchairs. This all sight was a really amazing thing to see for me. There were flower stalls brimming with gorgeous bouquets and the neighborhood bakeries bursting with the fresh breads that is a very important part of the meal for people here. I have never seen so many varieties of bread and cheese in my life. And yes cheese is also the next important part of the meal. After seeing this I was telling my dad back home that this place is heaven for him because he is a big fan of bread and cheese. Apart from that I tried a wide variety of food after I reached here and I love Italian food the most. Rieki is a really good cook so in the food department I think I have tried everything possible and the best part is I like almost everything. And one more to the list is the varieties of the bicycles I saw, those constantly passing by and also the amazing variety parked just outside or locked to a nearby light post. And there are bicycles for mothers, which like transport two, three and sometimes four little ones at a time, using a box in front and a baby seat (or two) behind. This was a sight I would never get to see in Bhutan. Bicycles are a very important mode of transport here, my fist day at office I saw many people in suites riding bicycles to office and I found it really cool. I even visited the red light district area which is very famous here in the city and it was a really weird and creepy experience. I would never like to go there again. Another really interesting thing was the Marijuana, out here there are so many coffee shops which sells marijuana and they have a menu for the varieties of it. And back home it grows in abundance and it’s totally illegal. That was quite a contrast. Then my first day at the work started. Of course, the first day at a new place is always kind of weird, because you don’t know anybody, but I got used to the atmosphere meeting new people and making few friends also. I started with my new project and loving the job I am doing and the stuffs I am learning. I am very thankful to Rieki and Thomas for that. Many people at work have no idea about my country and its architecture so I talked to them about my culture and traditions and they seemed interested and I understand how it is amazing to represent your own country and explain many things about it to people who have never heard of it. It made me proud of being a representative of my little country in my own way. So far all the people I met have been very friendly and communicative. They always ask how you are, what do you do and how do you like Amsterdam. The purpose of your visit is not important, but people will always give you some questions, which are not mere acts of courtesy, but curious and friendly. When did you come to Amsterdam? And how do you like it? If good now, it will be even better. You will love it. The conversation is always the same everywhere. Even in stores and markets what is immediately notable is that everyone is smiling to you, saying “hi,” wishing you to have a good day and asking if you need help. Amsterdam I think offers everything a tourist could wish for like various forms of accommodation, restaurants and terraces, bars, discos and nightclubs open 24 hours a day, cultural destinations (theaters, museums, monuments and churches), parks, markets, botanical gardens, zoo and many others. I still have a long list of stuffs to be done and a long list of places to visit. 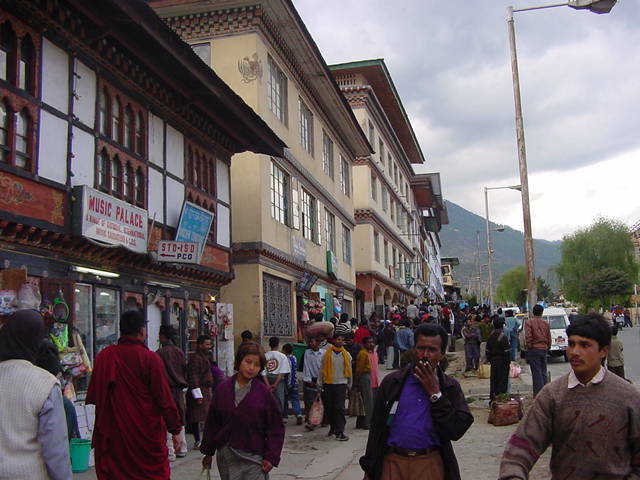 The government of Bhutan has implemented a weekly pedestrian day in the capital. In effect as of June 5, coinciding with the World Environment Day this year, every Tuesday will be observed as a vehicle-free day in the core downtown Thimphu area. The ban applies to motorized vehicles, not to bicycles, which will be allowed on these days. The vehicle-free day is initiated to minimize environmental impacts of motorized vehicles, reduce traffic congestion, avoid ever-rising fuel prices, and to control the major outflow of Rupee. It is also to encourage healthy living and increased exercise. Five agencies, including the National Environment Commission Secretariat, the Thimphu City Corporation, Road Safety and Transport Authority, Thimphu Traffic Division, and the Bhutan Post, are working together to implement Pedestrians’ Day in Bhutan. The policy causes problems to a lot of parents bringing children to school, or transporting the elderly. This is one of the main concerns of the policy, by residents of Thimphu. Workshop December: We are making good progress on the workshop for 40 young unemployed Bhutanese women between the ages of 16-24. We have received donations but we are not there yet. This workshop heralds the startup of the Vocational Training Institute, as well. Please help us to make this workshop and the ongoing vocational training institute possible by donating (see below). We need your help! The grant will be used to fund a 5-day leadership and social entrepreneur workshop for 40 unemployed women in December in Bumthang Bhutan. Thank you, RS Group Hong Kong, for your generous donation. The Learning Exchange Foundation is welcoming Phuntshok Choden, a young architect from Bhutan, to Amsterdam. She will learn green building techniques from Thomas Rau, the leading Green architect in the Netherlands. Rieki Crins, founder and chairman of the Learning Exchange Foundation, presented the Bhutan project at the Partnering for Global Impact Conference in Lugano. It was wonderful to meet so many people working in the field of impact investment. But we still have a long way to go. I want to thank Zamir Islam Shah and Clair Macht for making it possible for me to attend the conference. We need your support. Please help us ensure that unemployed youth in Bhutan have access to a better future. We still need contributions to make the workshop and the school possible. In close collaboration with the Bhutan Chamber of Commerce & Industry and Phuensum Gyalwang Consultancy Firm, the Learning Exchange Foundation and Leading2change invite you to visit Bhutan, to introduce you to investment opportunities that Bhutan offers. 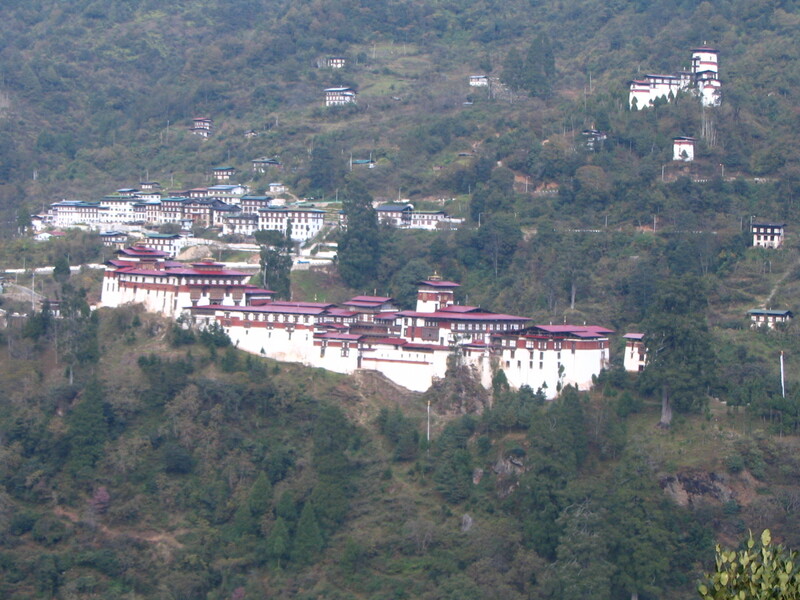 Bhutan is the most interesting place in the world for a frontier market investor. The experience of emerging markets tells us how the vision of the best informed investors has led them to the most interesting and rewarding challenges first in the Far East and now in new markets. The Himalayan kingdom is one of the last remaining enclaves, with a cultural heritage that makes it unique. Dr. Rieki Crins and Anne Marie Schreven will guide the tour. In this trip you gain an insight into the country, culture and opportunities. Rieki is a cultural anthropologist, specialized on the Himalaya kingdom of Bhutan. She obtained her PhD in 2008 on Gender and Sustainability in Bhutan. Rieki authored many articles and two books on Bhutan, gives lectures at universities and institutions, and is tour manager and guide for cultural travels to Bhutan, Sikkim and India. Rieki is now setting up a quality 4-­star hotel and a community hospitality college in the Bumthang Valley in Central Bhutan. In support of this, Rieki founded the Learning Exchange Foundation in 2009. Anne Marie is founder of Leading2change, Consultant Organisation & Leadership. Her contribution lies in facilitating change through good governance, organisational performance and personal effectiveness. After six years in Bhutan as Senior Advisor Organisational Development in SNV and honorary consul to Bhutan, she now lives in Amsterdam. Anne Marie is board member of the learning Exchange Foundation. 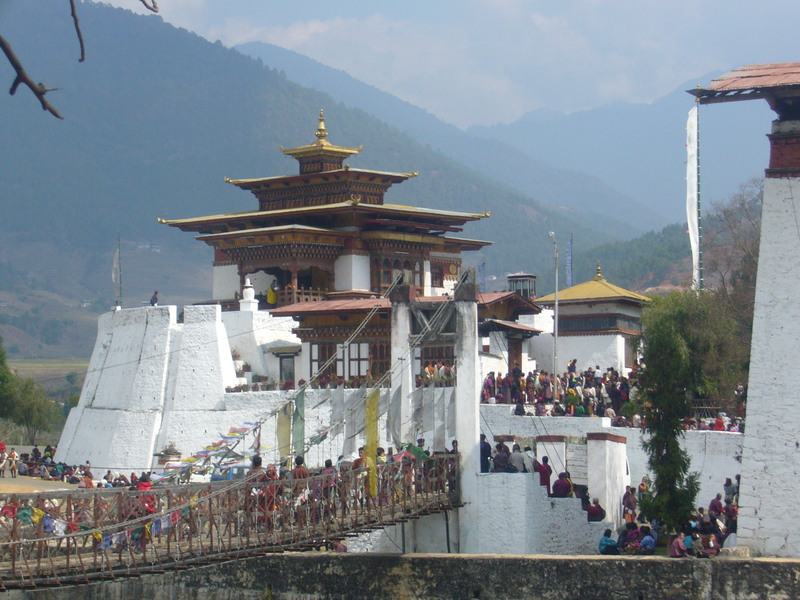 Bhutan is developing a reputation as an exclusive high-­end tourist destination. The green pristine environment, vibrant Buddhist culture and recently the Gross National Happiness development philosophy have begun attracting many tourists. As the number of visitors increase there will be a need to provide additional tourist facilities such as four-­ and five star hotels, convention centres, and other infrastructure. Historically, Bhutan has been known as Menjong -­ the land of medicinal plants, because of the great variety of medicinal plants found in the kingdom. More than 600 medicinal plants have been identified and given the favourable environment and proximity to huge regional markets. The government would like to develop Bhutan as a medical tourism hub as well. Based on the availability of surplus clean and green electricity at the lowest rates in the region, Bhutan is seeking to develop ICT and data centre related businesses. To reduce the dependence on timber for construction, DHI is seeking partners to manufacture alternative building material s in Bhutan. With the development of the Mineral Development Policy, there will be opportunities for investments in extraction of minerals and mineral-­based businesses. Bhutan aims to focus on educational institutes and knowledge-­industries. The Learning Exchange Foundation is organizing its first leadership training workshop with 40 young women between age 16 and 24 in December 2012. The workshop will last 5 days and the training will provided by leading2change and Phunseum Gyalwang Bhutan. This training is focusing on young women because these women generally have less work opportunities than young men. The training will encompass young leadership practice, social entrepreneurship and self awareness. This training is the preparation for the community hospitality college. More than half the population is younger than age 24, and an acute challenge Bhutan faces today is unemployment among the youth. Youth unemployment is high for young women as for young men, but girls face a greater disadvantage than boys. Help us raise Euros 25.000 to fully fund this seminar, including educational materials for the school launch. Your financial support would make this possible. Any amounts are welcome. Donate here! ASML Foundation has agreed to give a significant grant to Hotel School in Bhutan. Dr. Rieki Crins: 4 Star Eco-Hotel in Bhutan series.